you should think about migrating to database applications. new concept to the Web! nor the resources to bring it to life? Our development approach is based upon ISPE GAMP to fulfill pharmaceutical regulatory requirements. GAMP is the acronym of Good Automated Manufacturing Practices, which has been published by the International Society for Pharmaceutical Engineering. 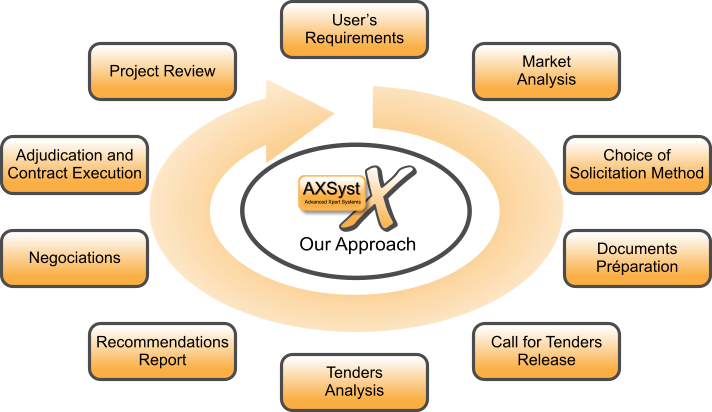 Its purpose is to set the requirements for software development used in the pharma industry. Define project goals and system functions and operations by analyzing end-user requirements and functional needs. Build all required components, database structure and user interface to implement all use cases. Continous evaluation of the system performances and system enhancement through change control process. In March of 1997, FDA issued final part 11 regulations that provide criteria for acceptance by FDA, under certain circumstances, of electronic records, electronic signatures, and handwritten signatures executed to electronic records as equivalent to paper records and handwritten signatures executed on paper. 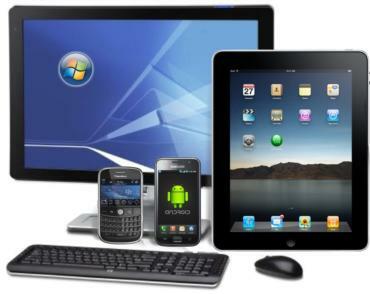 These regulations, which apply to all FDA program areas, were intended to permit the widest possible use of electronic technology, compatible with FDA's responsibility to protect the public health. After a while, concerns have been raised that some interpretations of the part 11 requirements would unnecessarily restrict the use of electronic technology in a manner that is inconsistent with FDA's stated intent in issuing the rule. 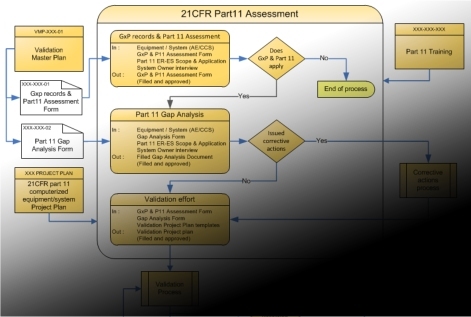 The FDA then decided to narrow the scope of Part 11 to help reduce de cost of general compliance for computerized systems used in regulated environment and to protect what really needs to be protected. In order to help you to comply with Part 11 requirements, we have developed a documented approach that will determine first if your computerized system qualifies to Part 11. To be able to patch your system deficiencies, corrective actions can range from procedural mitigation to software development. The most notable deficiency found on analytical and production systems is illegal access to system data. This is mainly due to system limitation, which needs to be started with administrator's rights. This requirement sometimes, leaves the user to gain access to data directories which might potentially lead to data falsification or deletion. You want to know more, ask us about our XRunAs application. 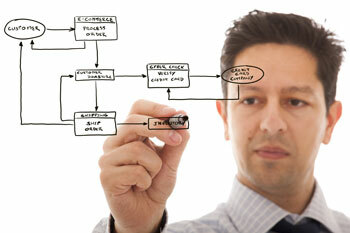 We can develop custom solutions that will help your enterprises to automate its business processes. You will some time find off the shelf's tools that will resolve part of your problems; maybe you will use a spreadsheet to solve a situation where your other tools couldn't make it. If you find yourself in this situation, maybe it is time to think about process automation and optimization. Our experience in this field showed us that a short term Return On Investment (ROI) has always been a valid proof of success. The end results of process automation will be; increasing of employee's efficiency and reducing of general costs. Our approach allows us to create highly expandable and modular systems. Documenting your processes will help getting a better understanding of all interactions between departments, tasks and responsibilities and identify bottlenecks and current problems. To understand what you will gain from BPAO you must first, get the numbers. A time and costs analysis if primordial if you want to make a precise ROI calculation after project completion. Before project ROI estimation and after project ROI calculation should be compared to determine whether the project was on target. This step is important to obtain upper management approval to persue BPA on other items found in analysis phase. In order not to fall into this trap, we will help you set up a process to create and manage your call for tenders. Creation of all documentation related to tender, the analysis process and the candidates selection criteria. Launch of the call for tenders on the chosen medium and monitoring process. Impartial analysis of all received offers based on predetermined selection criteria. Analysis report of all candidates with detailed results ranking. Meetings with candidates who performed well in the analysis phase and negotiations on points that could be contentious. Feedback on the project, what whent good and wrong, lessons learned, return on system roll-out by the customer. the resources to bring it to life? Does your product already exist? Even though your idea is brilliant, There might be someone else out there that had the same though process and came to the same conclusion. It might not be the end of your dream, but it is imperative to know who are your competitors and understand their capabilities. A good product is a product that sells... An early market study can help you save a lot of time and money. Before spending in the development of a new concept, you must validate ist market potential against true client's needs. This step is promordial if you want to obtain financing and mandatory to define your new concept's business stategies. Before developping a new system, it is imperative to take a brake and make a thorough analysis of the system's requirements and functionalities. A good analysis process make coding easier. To get visibility, you needs to select the right promotional channel to get in contact with the targeted audiance defined in your business plan. PRODXpert is a mini-ERP (Enterprise Resources Planning) that will help you to keep control of your company from Quotations to Invoicing. With this system, you will be able to create Quotations from a predefined catalog of products, approve contracts, assign tasks to your employees and confirm project invoicing when employees finish their work. With the two new modules added lately, Ticket Tracking and Knowledge base, you will be able to manage all incidents resolution with your products and services while centralizing all your enterprise knowledge for internal circulation. My Rights Keeper is a Web based Copyrights protection platform. MRK allows, via its secure database, to confirm the date your creation has been registered on our servers to protect your intellectual property and copyright. You can protect your creations in any type of electronic files: Music, document, drawing, image, plan, blog, picture, video, etc... Recording your work with MRK only takes a moment and provides a fast protection against unautorized dissemination of your creation on the web. Enter the era of 3D photography! My 3d Albums is a full body scanning services that allow you to bring your own 3D pictures with you, on you cell phone, tablet of computer and will be able to share them with your friends, your family and you fans on the social media or on your own website. Once digitalized, we willb e able to print your own figurine. BONACTIO is a volunteer management system. It enables an organization to create and publish their volunteering opportunities on the Web. Our mobile application helps these organizations to easily keep the contact with their volunteers. This system provides an advanced search engine that organizations can add to their own Web site within minutes. Code name: "Call for tenders"
Our team of experts is composed of persons that have evolved in the pharmaceutical industry for more then 20 years. Their core competencies are Quality Assurance, Computerized Systems Validation and Computerized Systems development for the Pharma industry. We also have a team of system analysts and Web designers with more than 15 years of experience in Web system development and Web technology integration. You have a special request for us?